This fantastic piece of Monte Nevado cured Jamón comes from white pigs raised in Spain, which have been selected for their size, maturity and fat content. In this way we guarantee its perfect conditions for a curing process of more than 20 months that result in a tasty Jamón, with its characteristic aroma of cured meat, delicate and with personality. 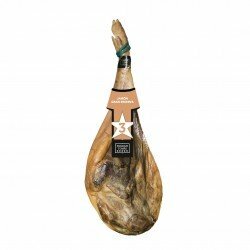 In Enrique Tomás we always seek to offer the best products and for this reason we use allies like Monte Nevado, to offer our customers the best Jamón Serrano in the market. 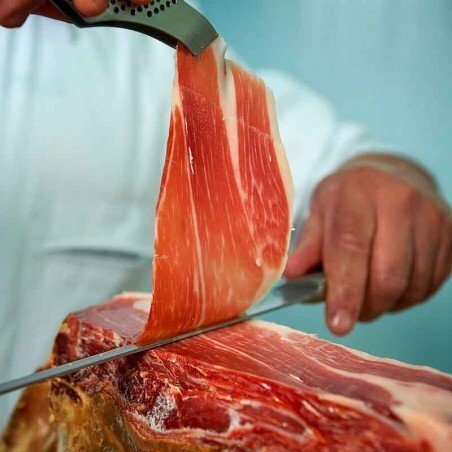 In order for a Jamón from non Iberian pigs to be considered Gran Reserva, it must be dry cured for at least 15 months, in the case of Jamón Monte Nevado , these are hams that have been pampered by experienced professionals for more than 20 months. 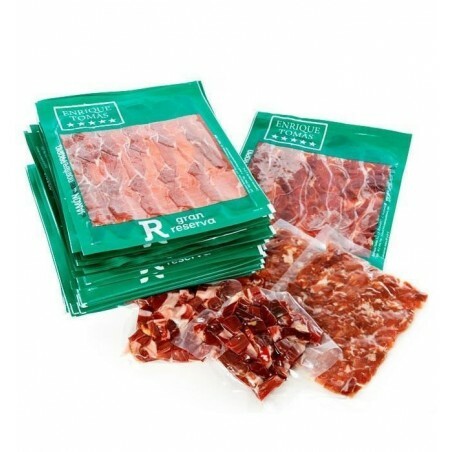 The result is an exquisite Jamón Serrano with an unbeatable quality/price. Net weight: 7,5 Kg. approx. 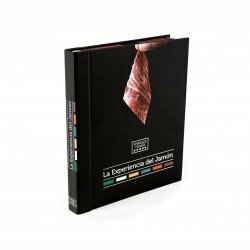 Origin of the selection: selected quality/price of all Iberian hams in the peninsula. Storage: keep in a dry place, at a constant temperature. Ideally store between 12 and 14 °C. 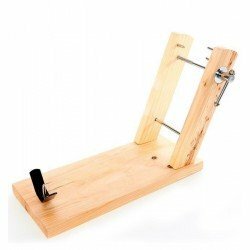 Ideal for: daily use, tapas, sandwiches, for eating alone, cooking and whatever is convenient. Once the Jamón has been started, it is recommended to eat it in less than 21 days so that it retains all its flavour, quality and properties. In summer it should be consumed in less than 16 days. Cut each time only the ham to be consumed at that moment and apply a lint-free cloth to keep it away from sunlight and least exposed to the air until the next time it is to be sliced again. Enjoy it comfortably while making the most of the piece. 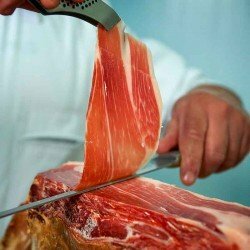 The machine cutting process is done manually by our experts in ham carving to get the best use of the piece and the best results. 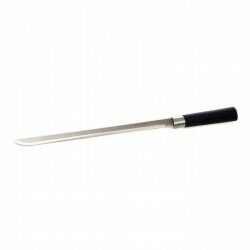 If you prefer knife cutting, our specialists will slice the whole piece with a knife and no slicer. 26-30 vacuum-packed bags of sliced Jamón of 80 gr.